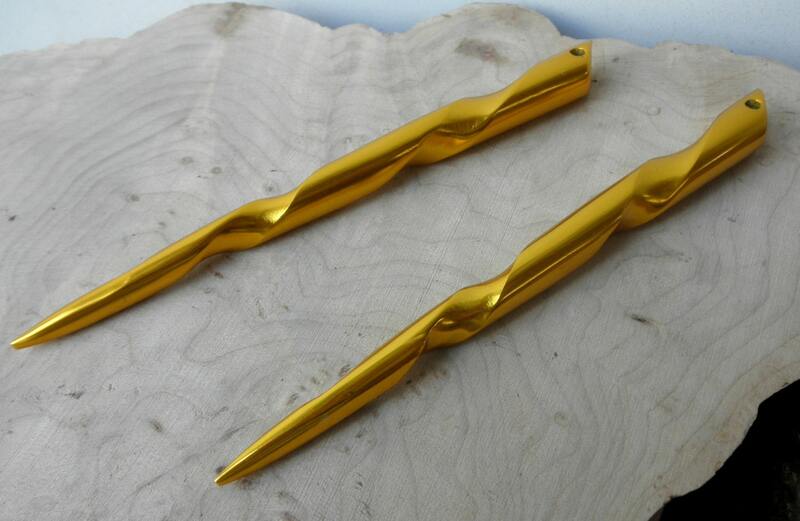 Two Gold Aluminum Conical Hair Sticks --- No more breaking sticks !! 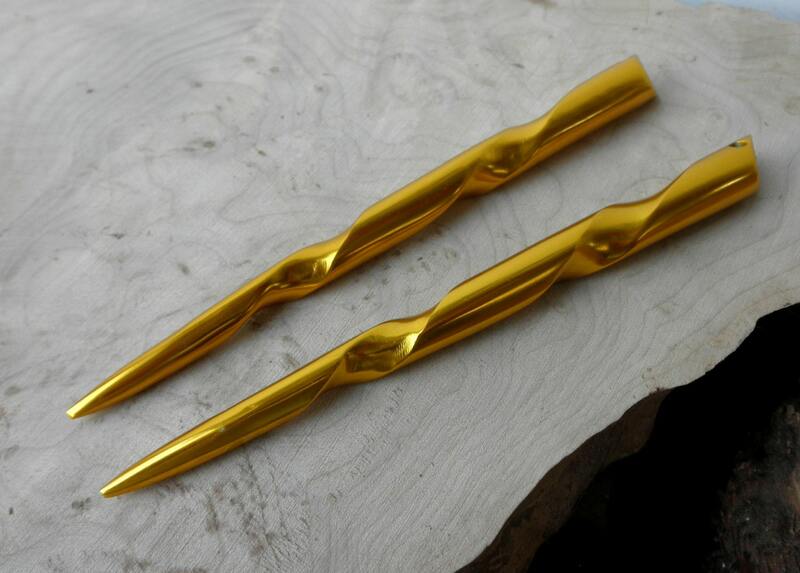 You get TWO Gold Anodized Conical Hair Sticks in this sale ! 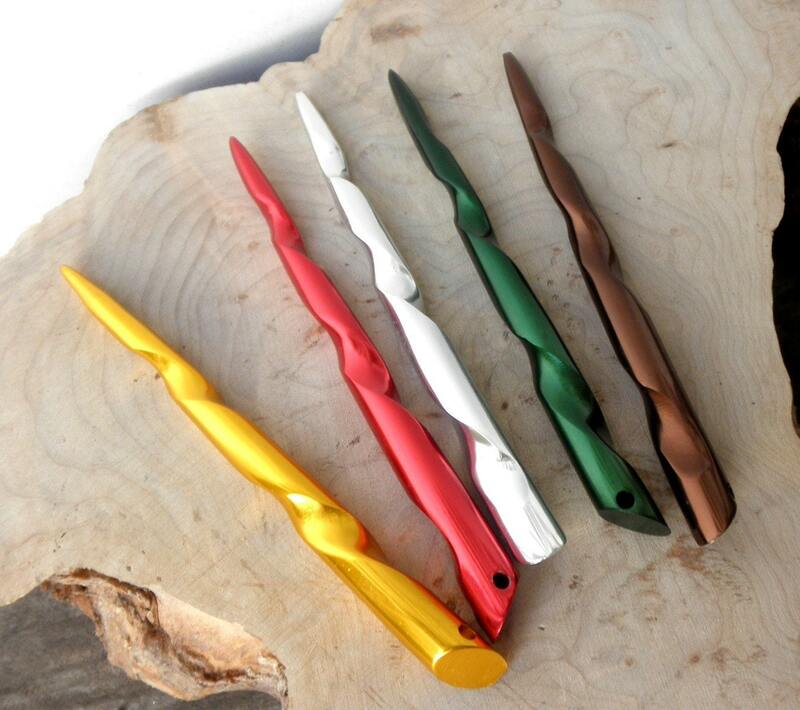 The Aluminum Hair Stick is 6 " inches long and undulates from 1/2" at the top down to a point. 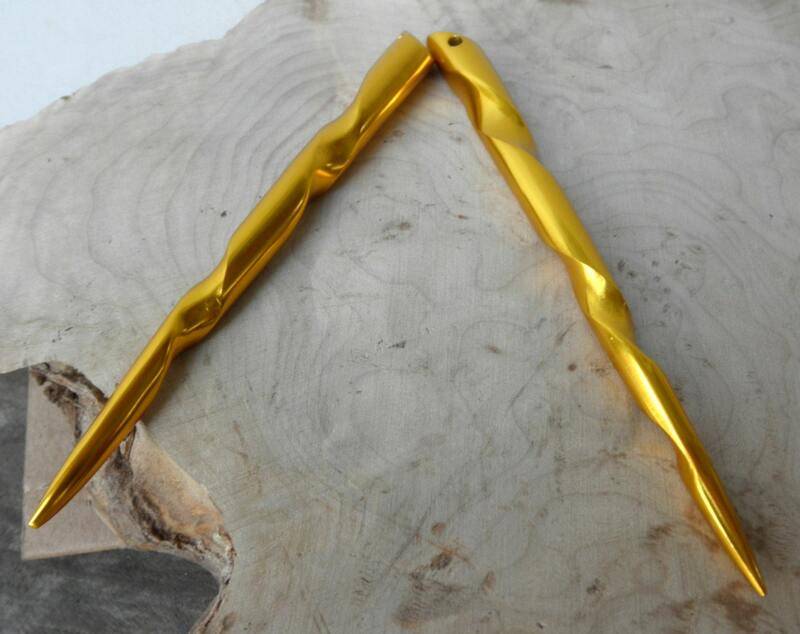 It is solid aluminum that has an Anodized Gold Color. THIS STICK IS STRONG !! It will not break no matter what kind of hair you have. In fact it has been called a weapon by some of my colleagues . At this point I should caution you that this is not a toy and can be dangerous if your children get their hands on the aluminum sticks. Common sense has to be used with these strong sticks and you can get injured if you fall on the tips of these sticks while running or exercising. 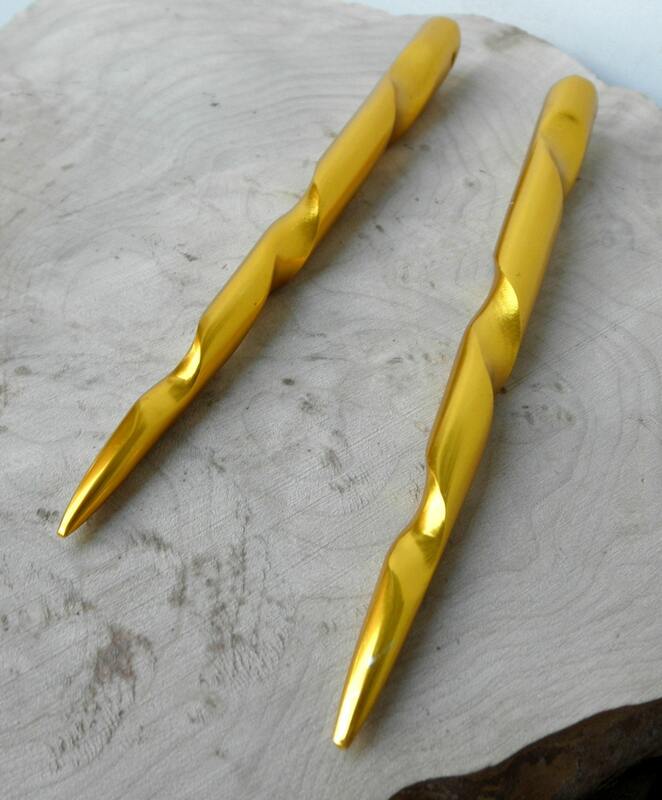 The difference between these and wooden sticks is that the wooden stick would probably break but the Aluminum stick will puncture your skin. Lovely item, quick shipping, what more could you ask for? Holds my hair securely all day, and it's so light it doesn't put any strain on my scalp. Thank you, and special thanks for the extra gift!